Bankruptcy should not be the end of the world. Though it is a very rough process to go through and no one ever plans to be bankrupt, the truth is that this happens even to the best of people. It might be a combination of several different factors; poor money management, a serious health issue, poor business acumen, or simply bad luck. The point is that while bankruptcy may be unwelcome, it should also signal a fresh start. If you’ve filed for bankruptcy and want to start over, you should know that rebuilding your credit score could be quite difficult. However, you can do it. It may seem daunting but you can actually begin the task of slowly rebuilding your credit as soon as you receive your discharge from bankruptcy. These tips will help you rebuild your credit score, even after bankruptcy. 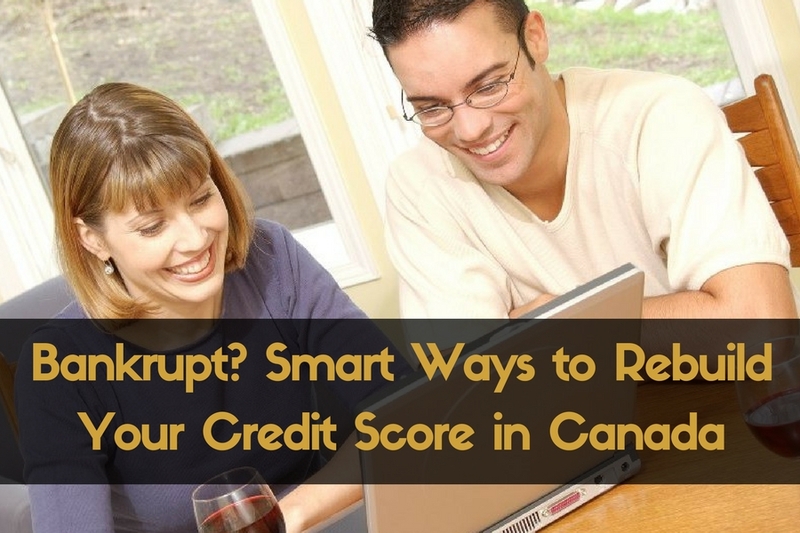 Obtain a copy of your credit report and score as soon as you receive your discharge from bankruptcy. You need to see where you stand so you can figure out what to do. First, review it to see if there are any mistakes in the report that you could correct. Be thorough. Report these mistakes. Next, get the reports regularly so you can keep track of your changes. This way, you’ll be able to see if your actions yield results. Understand that even though your credit score will now say that you have declared bankruptcy, you are also, in most cases, debt free. So use this point in your life as a time to start over, and approach your finances with a positive attitude, that will allow you to plan for a bright future. During your term in bankruptcy you were expected to live on a very tight budget, right? Now that your term is complete and you have been discharged you may be thinking that you can ignore that budget and go back to spending like you use to. But that is not the case. Since you have gotten use to living a frugal lifestyle the best thing that you can do for yourself is to continue to live that way while you rebuild your credit score and rebuild your personal finances. Take the budget that you were following during your bankruptcy and review it closely to see if there are any adjustments that you can make to it. Perhaps you have found ways to make more money. Perhaps you have found ways to reduce your expenses even further. Make those adjustments now, and plan to follow this budget for the rest of your life. If you like using Apps there are many different types of apps that you can use to help you manage your finances well. If you do not already have a savings account exclusively in your name, now is the time to open a new one. You don’t need a lot of money in the account; start with the minimum. The important thing is to start re-establishing yourself and your financial status by getting in touch with a bank and setting up your account. This signals your willingness to start over. As you went over your budget did you find that once all of your expenses are accounted for you will still have extra money every month? In the past that extra money most likely would have gone to debt repayment and interest. But now you have the pleasure of putting that extra money into your savings account. How nice is that? A good rule of thumb is to save ten percent of your total income regularly. Start saving as much as you can, and work at increasing that amount every month. Think of your savings account as one of your monthly expenses, if you will. When you think of it that way you get into the mindset that it must be paid, no matter what. Building your savings will help you improve your credit score. It shows financial institutions that you are responsible and manage your money well. And as you build your savings up, speak with a professional about ways to invest your money as well. After you setup your savings account and have saved several thousand dollars, speak to the bank you are dealing with and apply for a secured credit card. Don’t be afraid to get a credit card. You might think that this is a bad idea because it gets you into the habit of using borrowed money again. But having a secured credit card is the fastest way to improve your credit score. Just make sure to pay off your credit card bills on time. Understand though, that having a secured credit card won’t help you improve your credit score if you fall back into your old ways of poor money management. Get a loan. As with the credit card, getting a loan is a significant way to rebuild your credit score. The goal is to show that you are reliable and can pay off the money you borrowed. To do so, try to borrow a small amount then save it in a savings account. Pay off the loan steadily and as quickly as you can. This should boost your credit score significantly. Don’t try to find a shortcut. Bankruptcy should be a wakeup call. Where money is concerned, you should always stay focused and grounded. Forget schemes and “easy” strategies. The only way to start fresh and succeed is to be realistic, hard-working, and determined.